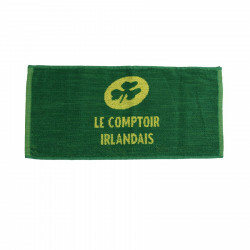 Small towel with green colours and inscription: Le Comptoir Irlandais. This towel is small, ideal for bars. "Le Comptoir Irlandais" is written on the towel. 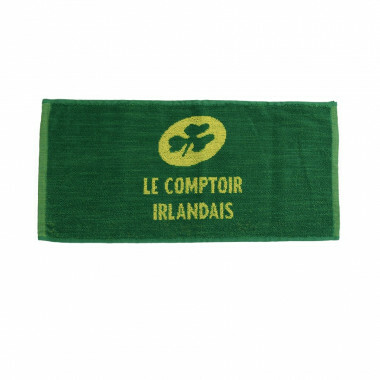 It is dark green with a light green writting on one side and a light green with dark green writting on the other, recalling the colours of Ireland. Ideal coaster for your glasses, it will prevent any splatters on your furniture.